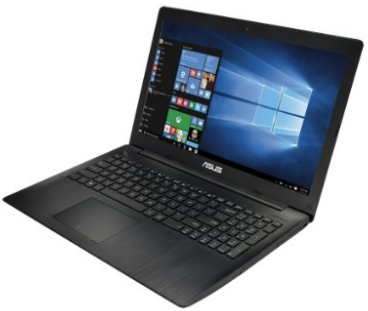 Ladies and gentlemen, today we're going to introduce a new notebook, Asus X553SA-BHCLN10, which is a 15.6″ laptop outfitted an Intel Celeron Dual-Core N3050 Processor, 4GB DDR3L 1600 MHz SDRAM, up to 8 GB, 500GB 5400rpm HDD, UMA graphics, and 15.6 High Defination Display with 1366×768 resolution. Oh sure, it has become a hot new released laptop at Amazon, loads of people are falling in love with it, so I think I'd better introduce it to you guys today. 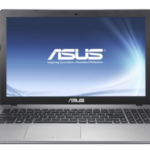 This Asus laptop comes with Super Multi Drive DVD+RW+/-, Standard Island Style Keyboard with Numeric Keyboard, Standard Stereo Speaker, 802.11b/g/n Wireless LAN, 10/100/1000 Mbps Fast Ethernet LAN, 3-in-1 Digital Media Card Reader Secure Digital Multimedia Card. Its battery supports 5.5 hours of using. The laptop is preinstalled with Windows 10 operating system, which delivers outstanding performance than previous editions. The Asus X553SA-BHCLN10 is a cheap entry-level notebook, the Celeron CPU included in it is the N3050 from the latest power-efficient and cool-running Braswell chip family. The N3050 indeed consumes low amounts of power – 6 Watts versus 15W of the popular Intel Core series CPUs. But, computing performance is good only for the common basic tasks like web surfing, email checking, work in Word, Excel, and other Office applications, or movie playback. 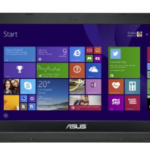 So if you are looking for a super affordable laptop for daily basic use, I think this one could be an ideal choice. 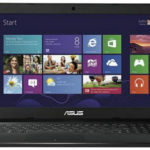 Good laptop for a student. Can browse the internet, use MS Office, and stream music no problem. But take the time to delete all the bloatware on this computer right when you start using it. It was pretty dang slow right out of the box truth be told, but after doing a little deleting it was nice and smooth. Plastic body is a little bendy, especially when typing quick. But I got it for a steal so I cannot complain in the slightest. Very solid simple notebook. 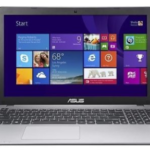 Well, what do you think about the Asus X553SA-BHCLN10 15.6-Inch Laptop?